Providing great customer service is an essential component of any business, as customers are the lifeline to any company. Providing a good experience for the customer adds enormous value to your company and helps retain customers for the long term. 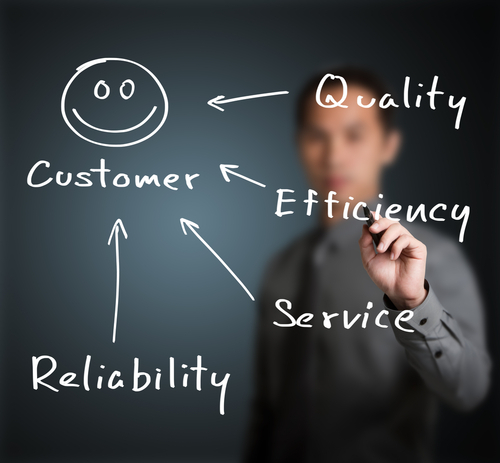 The reasons why excellent customer service is paramount to any business are extensive. If you’re just talking numbers, customer retention is far less expensive than customer acquisition. On average, it costs approximately five times more to attract a new customer to your business than it costs to retain an existing customer. Existing customers are more likely to buy from you than new customers. The probability of selling to a new customer hovers in the range of 5-20 percent, whereas selling to an existing customer resides in the range of 60-70 percent. Good customer service is extremely important and goes beyond that. Basically, it elongates the life of any business. You are more likely to retain your customers for longer and have the possibility of adding additional customers through word-of-mouth. The best kind of advertising is word-of-mouth advertising, as people are considerably more likely to listen to the advice of a friend than an advertisement. What’s more, excellent customer service improves public persona and strengthens your brand. Think of massive companies like Amazon, Apple, and Costco. All of these giants are renowned for their great customer service and for putting the customer first. Their customer service has been one of the pillars that has helped them succeed. Bottom line? 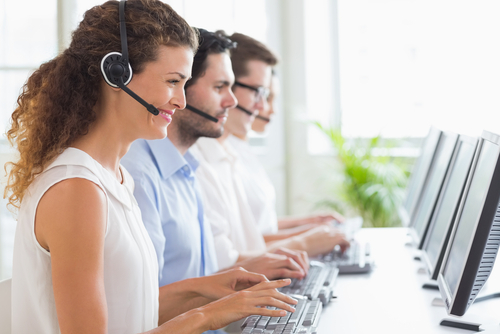 Customer service is one of the most important metrics for any company. So how do you provide a great customer experience? While many things may seem like common sense, it is surprising how many companies don’t lay the foundation needed for good customer service. Every company provides a unique experience, but almost all follow a few simple procedures. If you’re an IT company, providing good customer service follows many of the core principles but with a few nuanced extras. Start by identifying your company’s customer service culture. Look at all the ways you put the customer first and codify a few principles that include customer service ideals. Think about what makes you different, what value your company brings to the table, and why a customer should work with you rather than your competitor. The customer service culture should relate to your company’s mission and moral values. As you classify your principles, be sure to share them with your customers. This allows for greater transparency and shows your customers that you’re committed to providing exceptional service. How companies achieve this will vary by industry and by company, but exceptional customer service always revolves around making the customer feel valued. What can be learned from major companies renowned for their customer service is that the customer is always right, and that the optimal and highest lifetime value of a customer is a result of superb customer service. Consider ways you can build trust with your customer. For many IT companies, that can mean not only providing reliable IT help but letting it be known that you care about their business or IT problem. Listen to what the customer is saying and ask open-ended questions in order to elicit a customer’s needs and wants. Find ways to show your appreciation. Personal thank you cards and reward programs go a long way toward customer retention. It is important to determine how your company will handle a customer dispute. When it comes to customer disputes, the golden rule stands that the customer is always right. In the age of social media and online reviews, it is easy for someone to tell many people about their bad experience. It can take years to build a brand and just a few poor customer experiences to destroy it. Once you have created your customer service policy, begin training your employees. It is important that the policy is clear and straightforward. Employee training on customer service precepts should be intensive: written materials, verbal instruction, mentors, and on-the-job demonstrations all ought to be a large part of your business. Employee training on customer service shouldn’t just be a one-time introductory meeting; it should be consistently reinforced. It takes time to build a habit and, with consistent training, employees are more likely to deliver the customer service standards you have created. Great customer service also lies in how a company treats its employees. If you treat your employees as you would your customers, they, too, will feel valued and loyal. 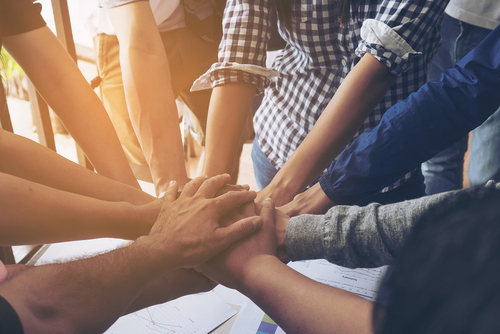 Employees can be great advocates for your company and, if they feel valued, then they can make a customer feel valued, too. Having great customer service as an IT company involves following the principles mentioned above, while also ensuring that the products are always functioning. As information technology is defined as a set of tools, processes, and methodologies and associated equipment employed to collect, process, and present information, the basis of IT is a set of technologically advanced tools. This can apply to coding/programming, data communications, data conversion, storage and retrieval, system analysis and design, and system control. This ever-growing sector includes software companies, computer systems, and freelance IT consultancy firms. At the heart of the IT sector is the promise to deliver innovative, technologically advanced solutions to help companies increase productivity and to streamline processes. Having the right tools can go a long way in helping your customers and employees. Part of creating a highly productive work environment involves building a productive workspace. Ensure that your employees have a comfortable and efficient workspace, and they will feel more productive. This includes many aspects, from having a high-functioning networking solution to providing monitor mounts to employees in order to create more space and reduce strain. By taking the time to set customer service standards and ensuring that they are continuously reinforced, you are establishing a solid foundation to make your customers and employees happy.